I haven’t read Marie Kondo’s now famous Magic of Tidying Up: The Japanese Art of Decluttering and Organising. Living atop a pile of toys, old baby accessories and Amazon boxes, it’s a book that probably should be in my life. I’ve also got a kind of obsequious reverence for the minimalism of Japanese culture. Japanese people seem very well-organised, with attention to detail, and a respect for space, quality and harmony (among giving us other great things, like sushi). These are all things I am very bad at – and therefore admire. 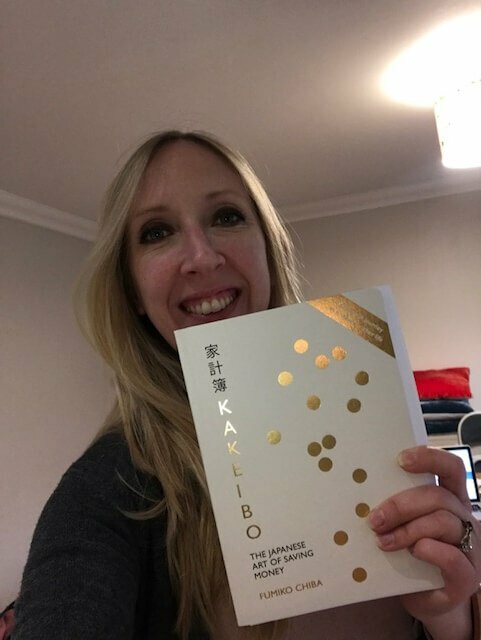 So when Kakeibo: The Japanese Art of Saving Money, appeared through my door, I was predisposed to like it. Capitalising on this idea that the Japanese have an art for everything that us hapless, chaotic Brits can learn from, this book gently, philosophically, encourages us to engage with our cash in a new way. Mindfully. Giving time, space and attention to money matters as part of a routine or ritual, that we maintain as assiduously as brushing our teeth. The Kakeibo is a 100-year tradition in Japan, originally introduced as a way for housewives to manage domestic budgets. It has remained popular as a way to enable savings, despite low incomes. … It’s not rocket science. All stuff we’ve heard before. Yet, the presentation of this Kakeibo, by Fumiko Chiba, is so beautiful that we are somehow more able to absorb this advice, rather than being told it by, say, the Money Advice Service. It’s a lovely, stylish journal – a joy to turn the pages. There are inspiring little quotes, reminding us that money is more than something with which we pay for bills and late-night shopping mistakes, but a skill, a way of life, an integral part of our interaction with the rest of the world. It might often be a source of friction and tension, but simply by giving it some attention, we can transform our relationship with money, from hate to love, even if – and this is the crucial bit – we don’t have a lot of it. Apparently in Japan, they hardly use payment cards – it’s still predominantly a cash-based society. 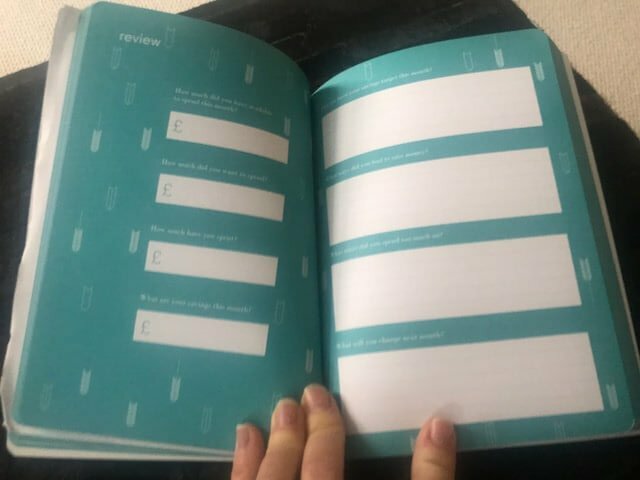 So we shouldn’t be surprised, then, that the Japanese answer to keeping on top of your money is not a budgeting app that categorises and tracks your spending, but an actual, physical book, with pages that you turn, that requires a pen with which you actually write words. As it says in the foreword: “With apps linked to our bank cards, it’s never been easier to see where our money is going, but often this only shows us where we are going wrong”. The tangibility of the journal, in a world where our interaction with our finances is almost totally digital, is for me, the key selling point. Just by making money shiny and pretty and using good quality paper, could it be possible to inspire a generation to save more? Maybe. It’s hard to imagine it catching the imagination quite as much as Kondo’s decluttering manual, but minimalism for money at a time when our finances are stretched in every conceivable direction is probably a more important message. I’m going to start using my Kakeibo this Friday, December 1. The run-up to Christmas might not give a representative sample of my typical monthly spending and saving, but there’ll be plenty to write.. and if I somehow manage to have some left at the end of December to save (something which never usually happens), I’ll know I have this book to thank for it.